For more pictures, please press here An International Conference on Numerical Linear Algebra and Optimization will be held at Guilin, China, October 7-10, 2003. It is organized by the Institute of Computational Mathematics and Scientific/Engineering Computing, Academy of Mathematics and Systems Sciences, Chinese Academy of Sciences, and Guangxi University. Its sponsors include Chinese Natural Science Foundation, Chinese Mathematical Society, Chinese Society of Industrial and Applied Mathematics etc.. Invited lectures on recent advances of numerical optimization and numerical linear algebra will be given. Limited number of short (about 20 minutes) contributed talks will be accepted for presentation. Papers on theoretical, computational and practical aspects of numerical optimization and numerical algebra are welcome. Prospective participants (except invited speakers) should send their preregistration giving address (postal and e-mail, if available) and accommodation preference(single or double room) to the address below by post or e-mail before Aug 15 2003. Those who want to contribute 20 minute talks please sent the title and abstract (Latex file preferred) by e-mail. 1. Registration Fees: The registration fees for the conference are 150 US dollars (paid before Sept 5th, 2003) and 200 dollars (paid after Sept 5th, 2003). Registration fees for students are 50 US dollars (paid before Sept 5th, 2003) and 100 US dollars (paid after Sept 5th, 2003). 2. Accommondation: The conference will arrange your accommondation, a single room with all three meals costs 50 US dollars per day. 3. Sightseeing. Sightseeing tours will be organized by the conference oraganizers. 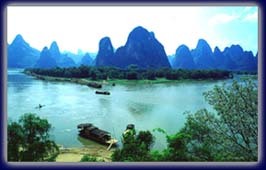 The tours will include a city tour of Guilin and a boat trip along the beautiful River Li. 4. Supports. 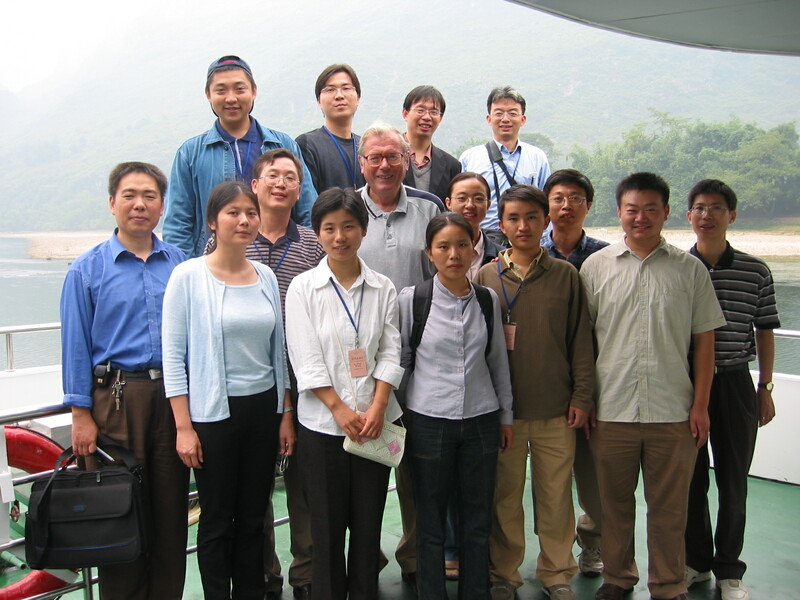 Chinese participants who could not afford to pay the above fees can apply to the conference office for partial supports from the Chinese National Science Foundation. How to reach Gui Lin? The conference site is located in the city of GuiLin. The best way to go to Guilin is by plane. There are directly flights from Beijing, Shanghai and Hong Kong to GuiLin. The GuiLin Airport is about 20 KM from the city.